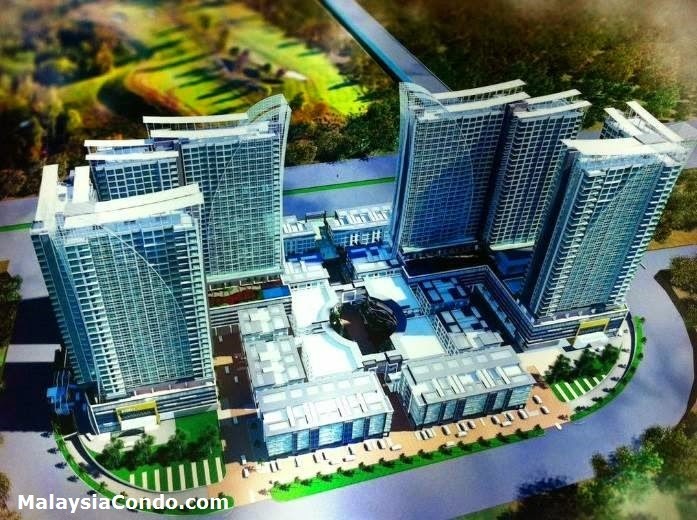 The Connexion @ IOI Resort City in Putrajaya is a brand new integrated project consisting of commercial developments and serviced apartments spreading well over 16 acres situated just next to The Clio Residences. The residential component consists of some 1,326 serviced apartments housed in four towers, with build up ranging from 750 to 1,200 sq ft. Additionally, there will also be nine levels of parking, providing some 3,200 covered bays for tenants and guests. The commercial component consists of retail outlets and offices. The retail shops range from 26’ x 70’ to 42’ x 80’ in size. The offices, on the other hand, are sized from 1,200 sq ft up to 4,220 sq ft.